The ferm Living brass pen holder serves as an elegant way to organise pens, scissors, and rulers. In the office or at home on the desk, the matt lacquered brass pen holder is extremely decorative as well as being practical. With the brass pen holder, ferm Living presents a stylish optical highlight for the desk. The practical pen holder is not just limited to the office, but can be placed anywhere where pens need to be organised. The pen holder by ferm Living is made from solid brass with matt clear lacquer, meaning it can act as a decorative piece on your desk as well as keeping all your pens in one place. Individual illustration of the brass pen holder by ferm Living. 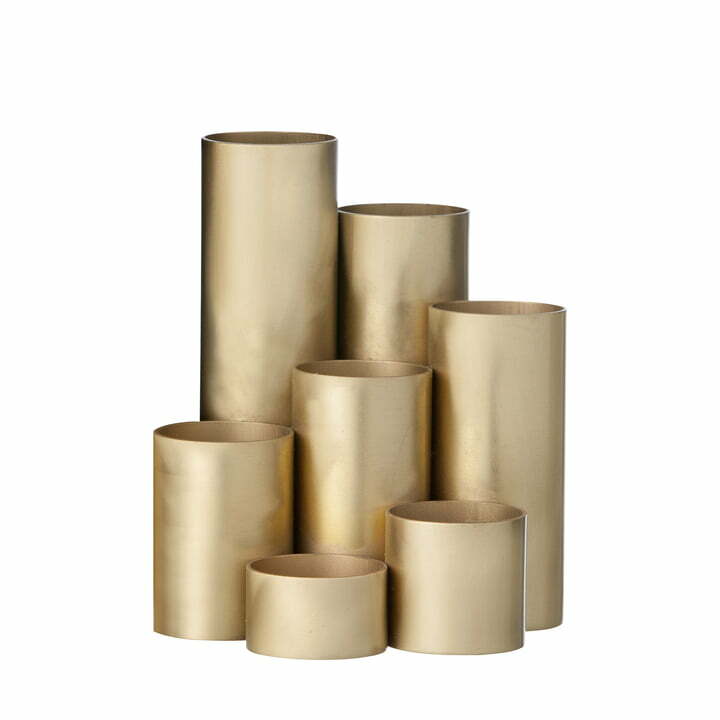 The brass pen holder is manufactured by ferm living from solid brass with clear matt lacquer. 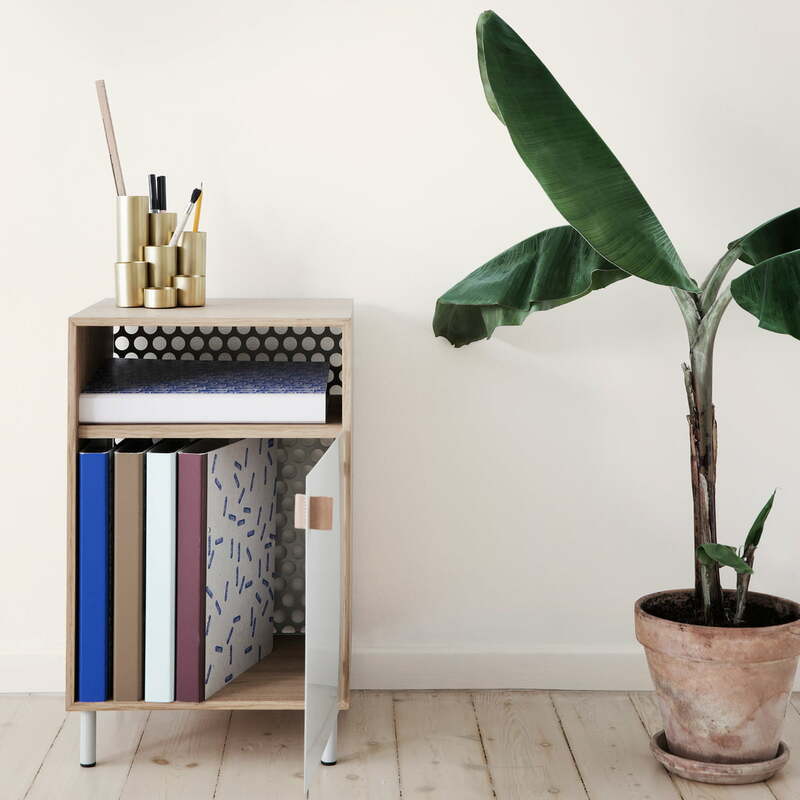 The ferm Living brass pen holder serves as an elegant way to organise pens, scissors, and rulers. In the office or at home on the desks, the matt lacquered brass pen holder is extremely decorative as well as being practical. With the Brass pen holder, ferm Living presents a stylish visual highlight for the desk, that also complements the brass semicircle paper holder perfectly.